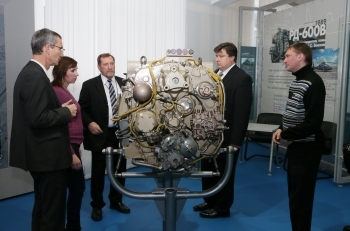 NPO Saturn and a number of companies from the Yaroslavl region’s “Gas turbine machinery and power engineering” cluster, having won a competition administered by the ASI (Agency for strategic initiatives), will take part in the “Dual training” pilot project. 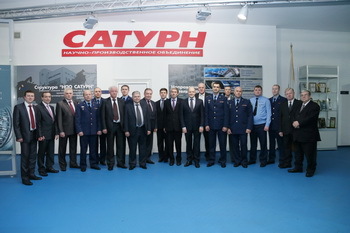 On December 30, 2013 the results of a competition between different regions dedicated to the preparation of the personnel based on dual training were summarized. The competition between the regions was one of the milestones in the implementation of the “Dual training” project roadmap approved in November 2013 by the Supervisory board of the Agency for strategic initiatives chaired by Russia’s President V.V. Putin. The competition between the regions was originally proposed by the Agency for strategic initiatives. 23 Russian regions had applied to participate in the contest. The competition’s panel of judges included the delegates from the ASI, Ministry of Industry and Trade, Ministry of Education and Science, Ministry of Economic Development, Ministry of Labor and the Russian-German chamber of commerce. Following the competition results, the Yaroslavl region came in first and was chosen as the venue for the pilot project implementation. December 27, 2013, Rybinsk. - Signature of an Investment agreement between ROSNANO (OJSC), Inter RAO (OJSC), NPO Saturn (OJSC) and NP TsIET dedicated to an investment project of creating a Russian high-power gas turbine GTE-110M engine with the application of nanotechnologies took place in Moscow. December 24, 2013, Rybinsk. - NPO Saturn and P.A. Solovyev Rybinsk State Aviation Technological University (RGATU) presented a joint innovative project in the frame of the VUZPROMEXPO-2013 annual national exhibition. Having joined forces, NPO Saturn and RGATU took part in the first national exhibition dubbed “VUZPROMEXPO-2013. Russian science - the foundation of national industrialization” held in Moscow on 17-18 December 2013. 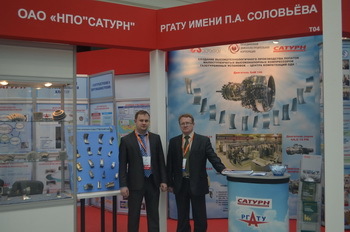 The integrated NPO Saturn-RGATU exhibition booth under the aegis of the Rostec State Corporation featured a comprehensive project dedicated to the creation of a high-tech blade production set-up for the few-stage, high-pressure gas turbine installations located in one of UEC’s Rybinsk-based industrial competence centers. December 23, 2013, Rybinsk. 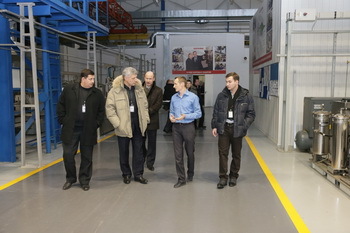 - In the course of their visit to NPO Saturn, the delegates from the innovation territorial cluster “Gas turbine machinery and power engineering” located in the Yaroslavl region, the representatives of the Saxon economy with the support of the regional and municipal authorities came up with a decision to hold an international technological forum on the cluster’s premises on 17-19 March 2014. The preparation and administration of the technological forum were among the key points referenced in the mutually profitable collaboration agreement regarding the innovation territorial cluster “Gas turbine machinery and power engineering” co-signed by NPO Saturn as the cluster’s coordinator and the economic union of Saxony in the field of aerospace (ASIS) and mechanical engineering (VEMAS) on 28 August 2013 at the International aerospace salon in Zhukovsky. December 18, 2013, Rybinsk. - Tallying up the results of the expiring year 2013, a conclusion can be drawn that NPO Saturn will have fully honored its annual production program. The current year budget provides for a 20% increase in the volume of production and sales in comparison to the previous period and doubling following the results of 2012-2013 compared to 2011. The preliminary data shows that the 2013 budget has been fulfilled while the secured portfolio of orders allows to forecast a further steady increase in the production volume over 2014-2015. The secured production volume required heavy investing in the company’s working capital, production engineering, extensive deployment of shop-floor operators as well as in the redesign of the NPO Saturn planning and capacity management system. December 13, 2013, Rybinsk. – The results of research studies dedicated to the gas turbine engines produced by the Civil Engines Division (CED) were reviewed on 12 December 2013 during a marketing session held as part of NPO Saturn’s Science and technology council (STC). The delegates from NPO Saturn, Perm motor plant, Aviadvigatel and Rosoboronexport discussed the issues of competitiveness, positioning and the modern trends of the CED business development in the world gas turbine market. The attendees emphasized the need in implementing a correct business diversification, specifying the competence structuring for each product’s value map and creating a unique CED product line. December 12, 2013, Rybinsk. - NPO Saturn successfully completed the research and development campaign dedicated to the creation of a new small-sized gas turbine engine. A certificate of completion of the state bench tests was signed by the customer. The formal award of the state bench tests completion certificate took place at NPO Saturn on 12 December 2013 during the extended State commission session. According to the specifications, very strict requirements were posed to weight, dimensions and performance of the new engine. Due to the need to respect all such requirements, the engine design incorporated a series of non-traditional solutions requiring long and painstaking work of design engineers and inventors.